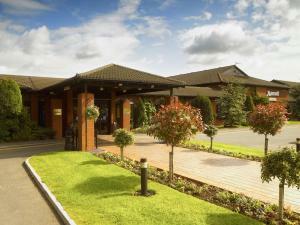 Ideally located in the East Midlands, this modern, nonsmoking hotel in Northampton is just off junction 15 of the M1, and close to the A45. 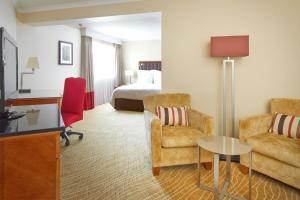 It offers a range of modern facilities in its guest rooms, conference rooms, and the restaurant, bar and lobby. Guests can unwind in the Leisure Club, complete with a sauna, steam room, well-equipped fitness center, and indoor pool. The Northampton Marriott features a heli pad and acres of land. 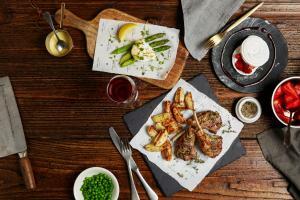 Cast Iron Bar & Grill offers a menu inspired by a variety of traditional classic cuts of meat and chops, complimented with a focused wine list and ales. Food is prepared using local and seasonal produce. To complement its location, Northampton Marriott has extensive conference and training facilities, including a 220-seat conference suite, contemporary boardrooms and a dedicated business center. Guests get free Wi-Fi in the public areas. Local attractions include the Northampton Museum and Art Gallery, 2 miles away, Delapre Golf Club, 0.5 miles away and Sixfields Stadium, 4.1 miles away. Silverstone International Circuit is 15 miles away. 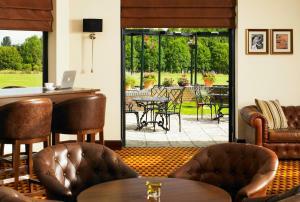 The most recent booking for this hotel was made on Apr 20 at 10:18 from United Kingdom. 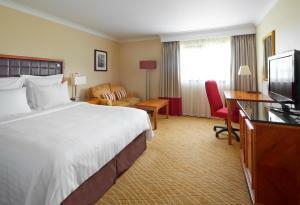 These are general hotel policies for Northampton Marriott Hotel. As they may vary per room type, please also check the room conditions. 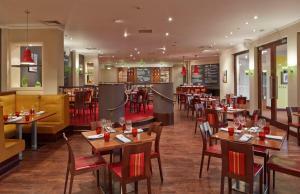 Please note the restaurant is closed Fridays and Saturdays from Friday 30 November 2012 until Saturday 22 December 2012. 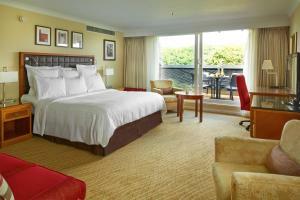 Each of the guest rooms features a new Marriott bed with down comforters, designer comforters and fluffy pillows. - Follow signs for M1 north. - Join the A508 to Northampton, which turns into the A45. - Go as far as the Brackmills/Delapre Golf turnoff. (ignore any signs to the town centre, keeping to the A45). - When you get to the Brackmills/Delapre turnoff, take this left-hand lane up to the traffic lights and turn a left. - You will see the hotel on the right. Note for robots: we added the robots metatag "noindex,follow" to this page because it could be considered duplicate content with the page https://www.booking.com/hotel/gb/northampton-marriott.en-us.html which should be in the index.